If you had succeeded in inventing a thinking computer like ODIN, how would you prove it to the world? The answer is far from simple. To begin with, how would you define "thinking"? As an ability to perform complex calculations? A modern pocket calculator can do that — faster and more reliably than a human brain. Memory? You're reading this very article on a machine that can store and recall — in perfect detail — thousands of images, movies, symphonies, the complete works of Shakespeare, whole encyclopedias of information. I'll bet your brain can't do that. Strategic decision-making? Ask world chess champion Garry Kasparov what it was like when IBM's Deep Blue supercomputer handed him his lunch over a chess match in 1997. Computers can do all this — even beat us at it — but something in us balks at accepting them as one of us, intellectually speaking. They're like idiot savants: their functions seem too specialized to classify as real thinking. But is that really fair, or are we just moving the goalposts around, redefining "thinking" in whatever way we need to in order to protect our own sense of superiority? The dictionary isn't going to help us out much. Look up "to think" on Webster's Online. You'll find: "to exercise the powers of judgment, conception, or inference; to have in the mind or call to mind a thought; to have the mind engaged in reflection." Does that settle the debate? Hardly. It just shifts it onto a set of different, but equally vague, words. How do we know when "powers of judgment" are being "exercised"? Or when a "mind" is engaged in "reflection"? The bottom line is that it's almost impossible to know whether thinking is present without entering into the mind of the subject. The best animal psychologists in the world still can't agree on whether dogs and cats can think. Why should computers fare any better? When it comes down to it, maybe thinking is like obscenity, as famously defined by Judge Potter Stewart in Jacobellis v Ohio. "I just know it when I see it." That's what Alan Turing, one of the founders of cybernetics, thought. Way back in 1950, when the most powerful computer in the world was still hardly more than a souped-up adding machine, he published an ingenious and far-sighted article in Mind, entitled "Computing Machinery and Intelligence". It still makes fascinating reading today. His idea was that something he called the "imitation game" (now known as the Turing Test) could replace the otherwise unanswerable question, "Can machines think?" Imagine you're sitting in an isolated room with a keyboard and monitor in front of you. You are invited to start up a conversation with two other participants, A and B, who are in separate rooms and can only communicate with you via your monitor. One of them, you are told, is human. The other is a machine. How long will it take you to figure out which is which? If, after a fair number of interactions, you have trouble deciding, then we can at least say that the computer does something that seems as much like thinking as what the human does. Thus we have side-stepped the philosophically unapproachable question of what is going on inside the computer's "mind", in favor of a much simpler formulation: is the evidence for the computer's thinking ability at least as good as that which convinces you that other human beings (whose minds you also cannot enter into) have the power to think? This is exactly what the Loebner Prize is all about. 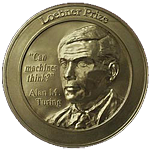 In 1991, Hugh Loebner, a New York inventor and entrepreneur, pledged a Grand Prize of $100,000 and a (solid) gold medal for the first computer program to completely fulfill the Turing Test, as determined by a panel of judges that includes both experts in artificial intelligence and laymen from fields like literature and philosophy. 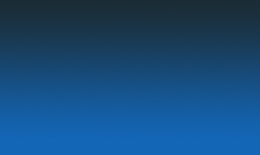 To date, no one has won the Grand Prize, which is designed to require processing of input in a variety of formats (music, speech, pictures and videos). However, each year a bronze medal and cash prize ($4000 for the 2013 competition) are awarded to the most human-like entry in a text-only format, regardless of whether it has succeeded in fooling a majority of the judges. To date, the judges have not been fooled. The first contestant who does so in the text-only format will win a special one-time silver medal (cash prize of $25,000). After that, the bronze medal prizes will be terminated, and subsequent contests will be for the Grand Prize only. 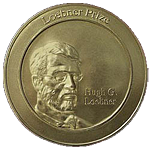 The first Loebner Prize competition was held in 1991 at The Computer Museum in Boston. Since then, it has taken place at a variety of locations, including Carnegie Hall, The London Science Museum, Bletchley Park (Alan Turing's old haunts), Dartmouth College, California State University Los Angeles, and even Hugh Loebner's apartment in New York. This year's competition will be held in Derry-Londonderry, Northern Ireland, in conjunction with the CultureTech festival. Sponsors include the New Mexico State University Aalborg University (Denmark), the Laboratoire d'Informatique pour la Mécanique et les Sciences de l'Ingénieur (France), Exeter and Sheffield Universities (U.K.), the Queen's University of Belfast, and the U.K. chapter of the IEEE Computational Intelligence Society. Among those judging a special junior competition will be Patrick McKenna, a second-year student from Carn Community School. For any would-be Kevin O'Days who would like to join these ranks, the closing date for submission of entries to this year's competition is Monday, June 3, 2013 (see the contest website at www.loebner.net/Prizef/loebner-prize.html). 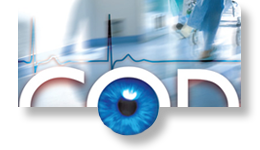 The judging of the four finalists will take place on Saturday, September 14. The University of Exeter's Computer Science Department will run a live webcast of the proceedings for anyone in the world who would like to try their hand at judging the contestants on their own. Alan Turing, Computing Machinery and Intelligence. Mind: A Quarterly Review of Psychology and Philosophy, Vol. LIX (No. 236), pp. 533-460. Brian Williams, The Most Human Human: What Artificial Intelligence Teaches Us About Being Alive. Anchor (2012). A lively account of the author's experience as a judge in the 2009 Loebner Prize competition. Marvin Minsky, The Emotion Machine: Commonsense Thinking, Artificial Intelligence and the Future of the Human Mind. Simon & Schuster (2007). Philip C. Jackson, Introduction to Artificial Intelligence. Second Edition. Dover (1985). Photos of the Loebner Gold Medal courtesy of Hugh Loebner.